FORT WORTH, TX.- When The Illustrious Guest (1847) appeared on the PBS program Antiques Roadshow earlier this year, appraiser Alan Fausel of the Bonhams auction house said the painting could hang in a museum. Now it is. 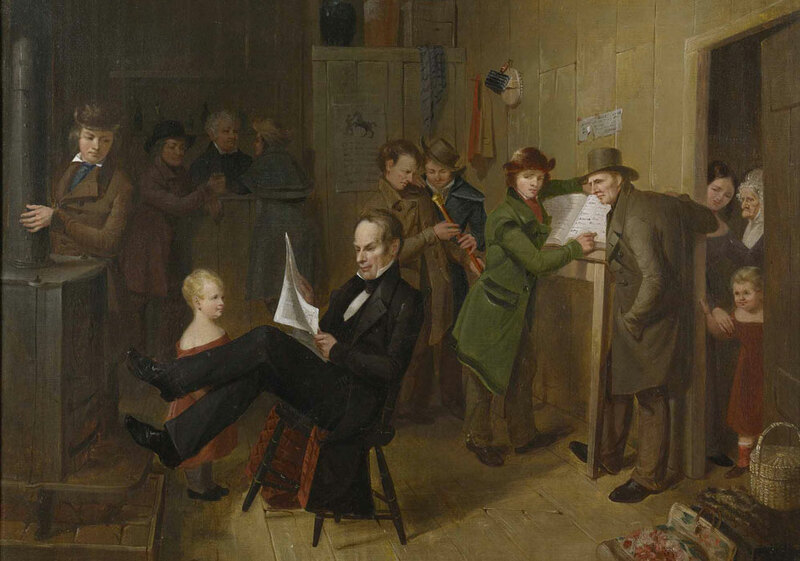 The 19th-century painting by James Henry Beard depicts legendary Kentucky statesman Henry Clay (17771852) as a guest at a country tavern while on the campaign trail. The work is on long-term loan to the Amon Carter Museum . James Henry Beard (18111893) was born in Buffalo , N.Y. , and at the age of 11 moved with his family to Painesville , Ohio . A self-taught artist, Beard worked for several years as a traveling portrait painter in Cincinnati , Louisville , New Orleans and Pittsburgh . He was an honorary member of the National Academy of Design from 1848 to 1860 and a full member until his death in 1872. Beards genre paintings, or scenes of everyday life, of the 1840s are less well-known than his later satirical pictures and portraits of domestic pets. Like his younger brother, artist William Holbrook Beard (18241900), the elder Beards reputation now rests primarily on his paintings of animals.